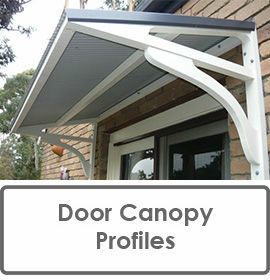 Why install a Lyrebird Window Canopy / Window Awning? 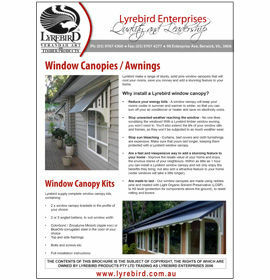 Lyrebird make a range of sturdy, solid pine window canopies that will cool your home, save you money and add a stunning feature to your home. 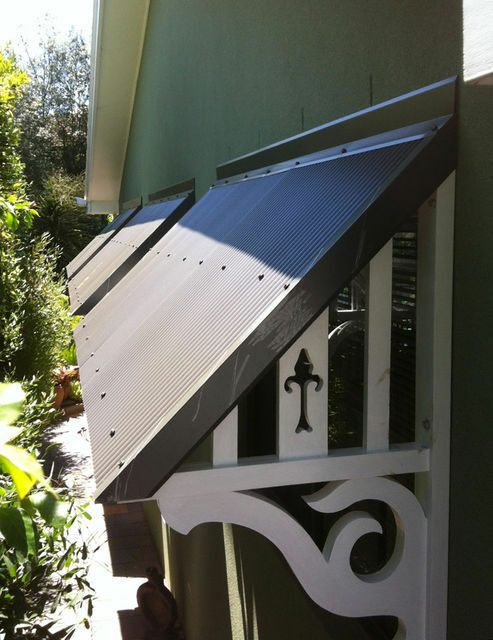 Reduce your energy bills - A window canopy will keep your rooms cooler in summer and warmer in winter, so that you can turn off your air conditioner or heater and save on electricity costs. Stop unwanted weather reaching the window - No one likes scrubbing the windows! 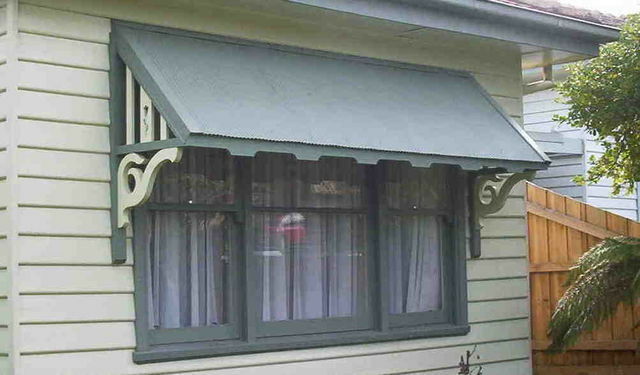 With a Lyrebird timber window awning, you won't need to. You'll also extend the life of your window sills and frames, as they won't be subjected to as much weather wear. Stop sun bleaching - Curtains are expensive. 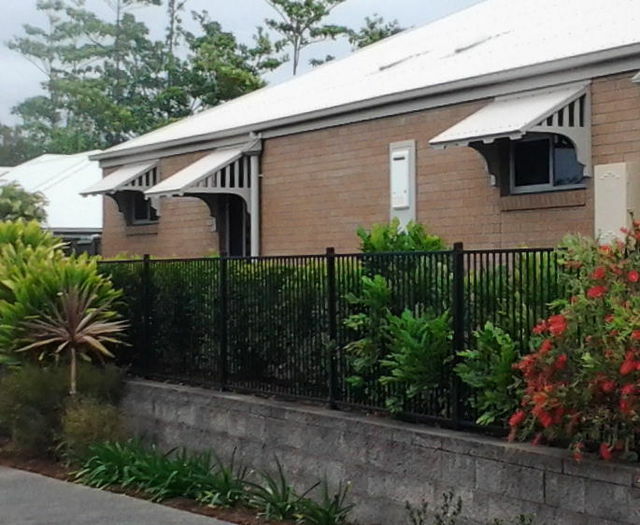 Make sure that yours last longer, keeping them protected with a Lyrebird window canopy. 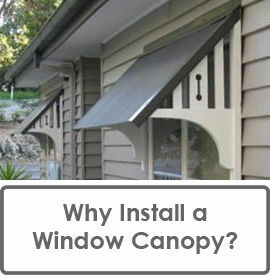 And a window canopy won't just protect your curtains, it will protect your bed covers or lounge furniture as well. They are a fast and inexpensive way to add a stunning feature to your home - Improve the resale value of your home and enjoy the envious stares of your neighbours. 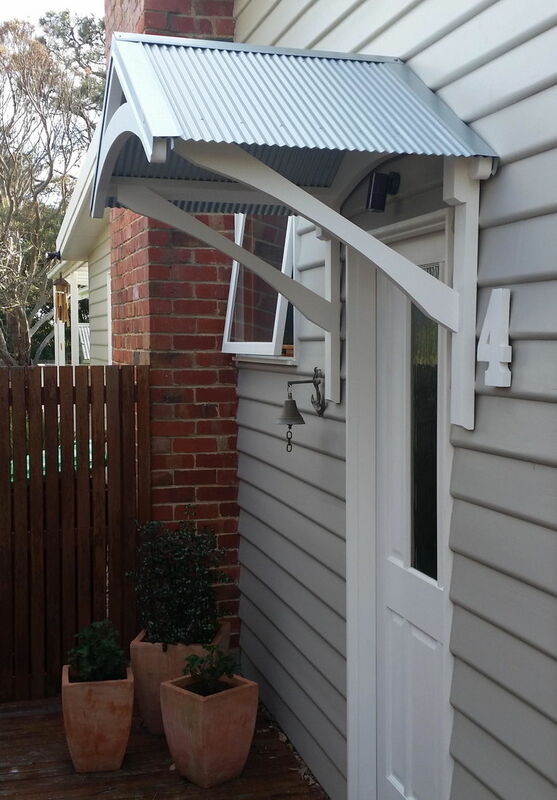 Within as little as 1 hour you can install a Lyrebird window canopy and not only enjoy the benefits they bring, but also add a attractive feature to your home (wider windows will take a little longer). Allows you to leave your window open during a refreshing rain shower. Made to last - Our window canopies are made using radiata pine and treated with Light Organic Solvent Preservative (LOSP) to H3 level (protection for components above the ground), to resist rotting and borers. 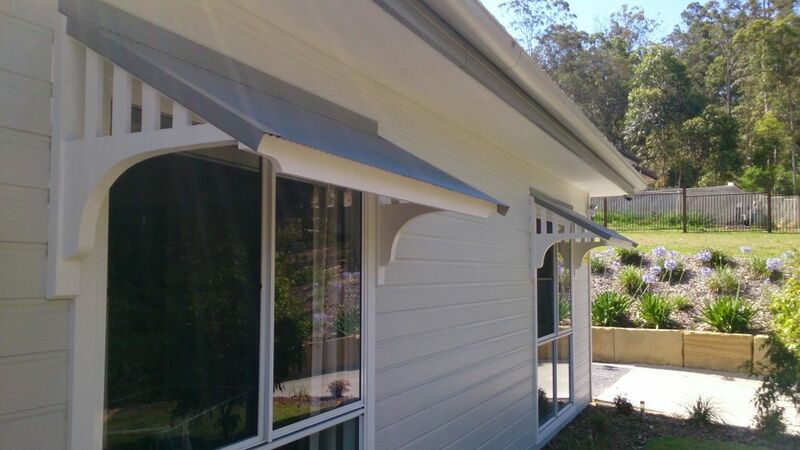 "The quality of this product from workmanship to the timber just simply "blew us away" when we upacked it. The whole experience was outstanding and unexpected in this day and age of mass production standards." 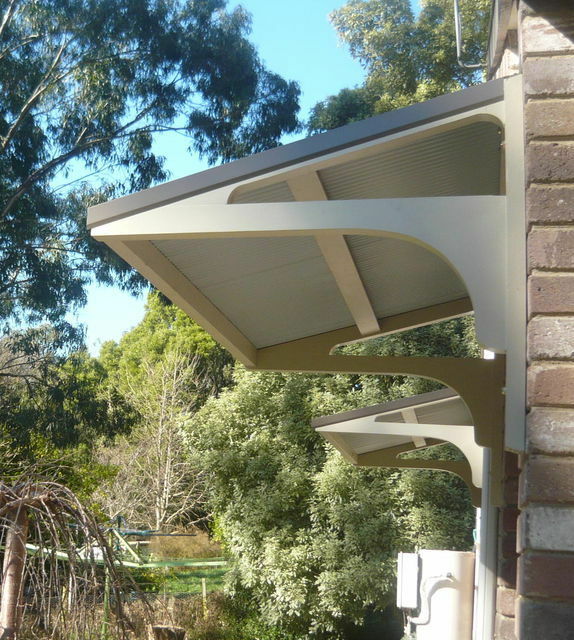 Roofing iron - Miniorb (ripple iron) or regular corrugated iron in your choice of BHP Colorbond colours. All necessary bolts and screws etc. Want a fully itemised quote? 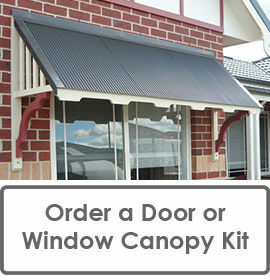 Contact us and we'll provide you with a fully itemised and costed quote for your window canopy project. 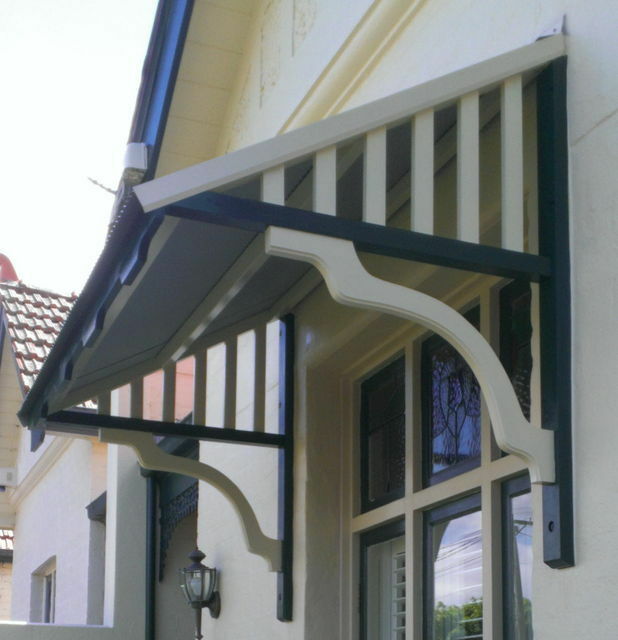 Which window canopy bracket profile is best suited to your home? 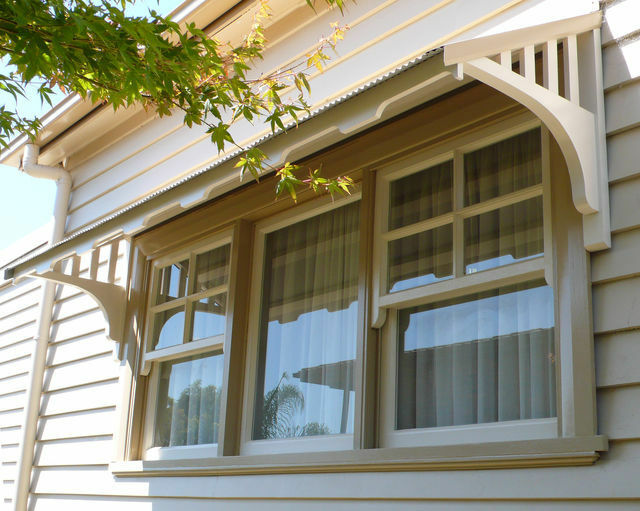 Which window canopy fascia design is best suited to your home? 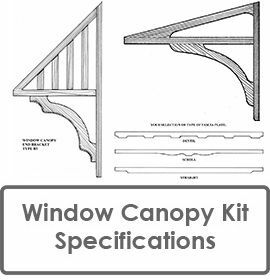 Note that not all window canopy kits come with a fascia plate included (BD & BC excluded as they are too close to the window). 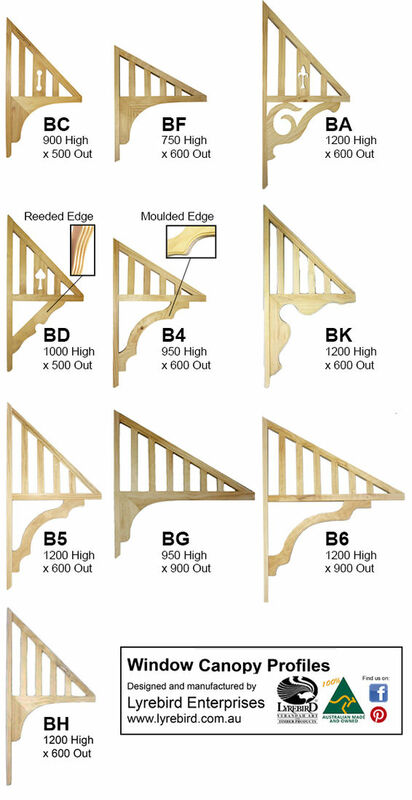 When you order the following bracket profiles, you will also need to select a fascia plate - B4, B5, B6, BF, BG, BK, BH, BA & BB . 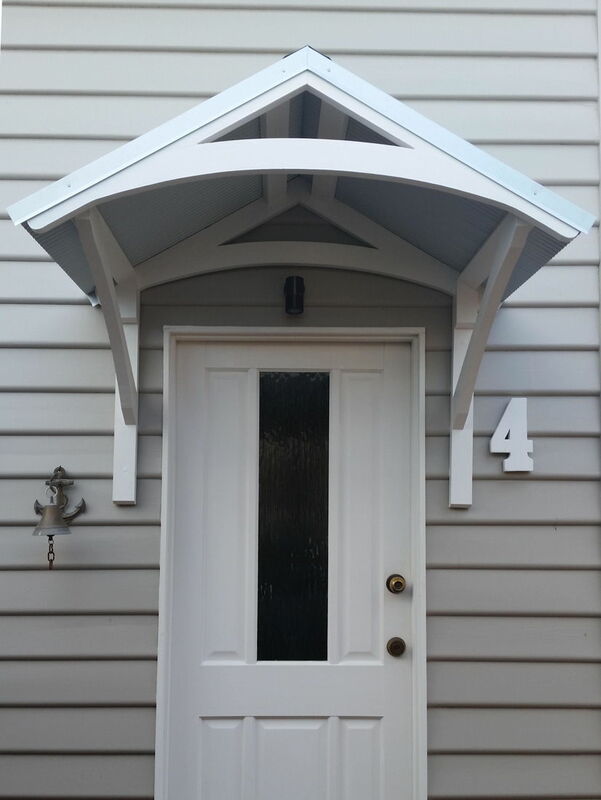 Door canopy kits do not include fascia plate, but we can supply them as an extra. 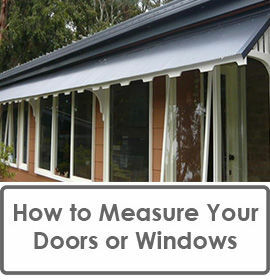 Measure your window frame outside to outside. Match your width to the widths listed above. For example, if your window frame is 2300mm wide, then specify a 2300mm wide kit when you place your order. 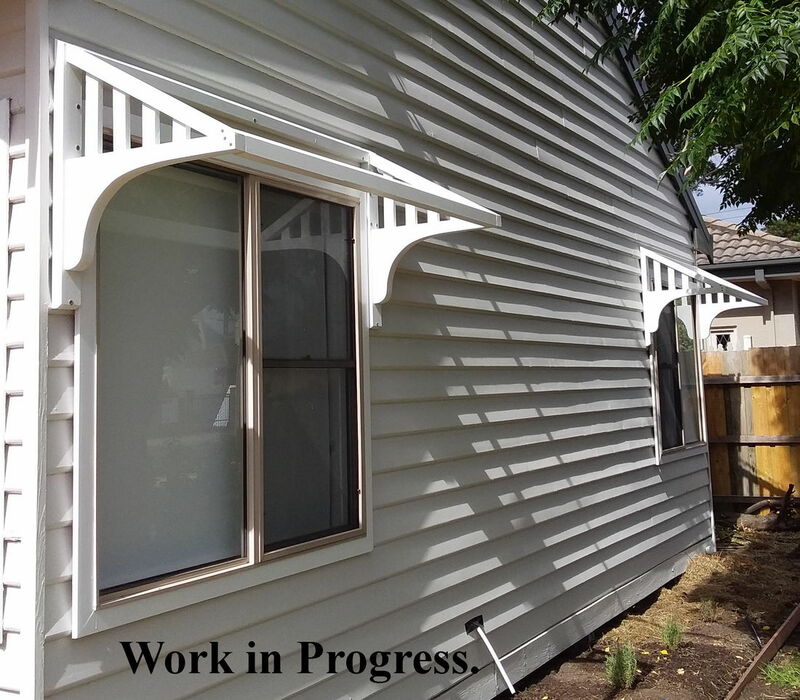 If you prefer to locate the end brackets away form the window frame, order the next width up. For window frames wider than 3200mm, it's important that you ensure there is a place where an additional middle / central bracket can be fixed to the wall or window frame. How wide is your window frame? - Make sure that you've read through the measuring guidelines above before placing your order. What will it be attached to? 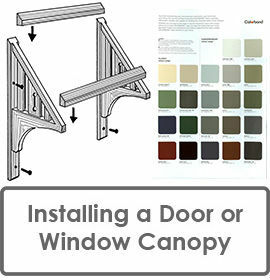 - Please let us know if the window canopy is going to be attached to a brick or timber wall, so that we can provide you with the appropriate fixings. 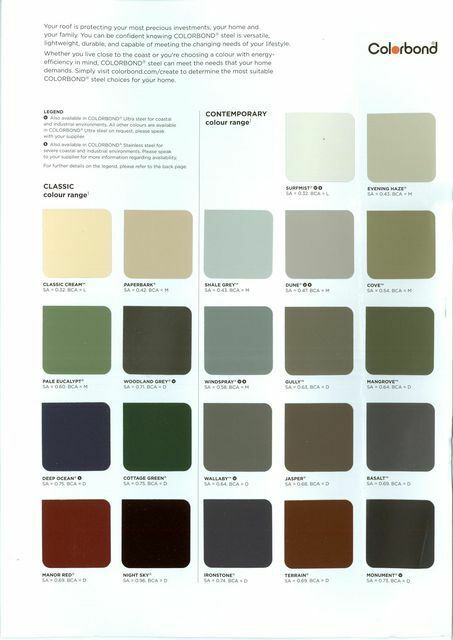 What colour colorbond would you like? 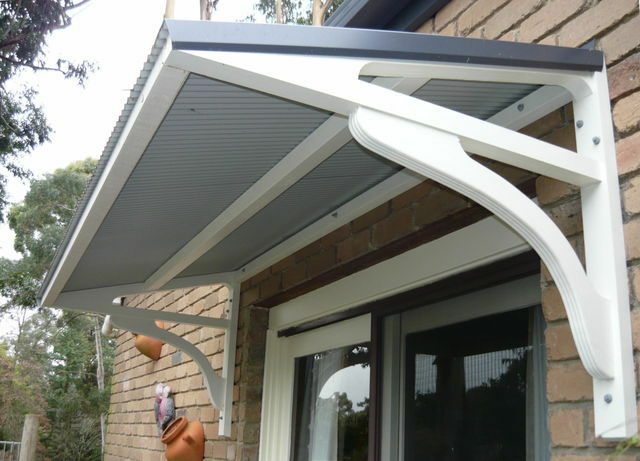 - Choose the colour of your window canopy roof and flashing from the BHP Colorbond colour chart. Miniorb or ripple iron, or Blueorb standard corrugated iron are available in all these colours. 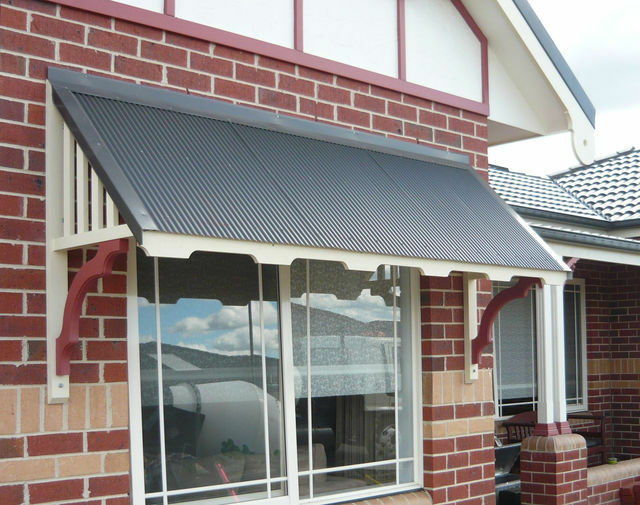 Which type of fascia plate will look best on your window canopy - Dentil, Scroll or Straight? Note that we recommend miniorb for the roofing, because the regular corrugated looks rather bulky across a short distance. 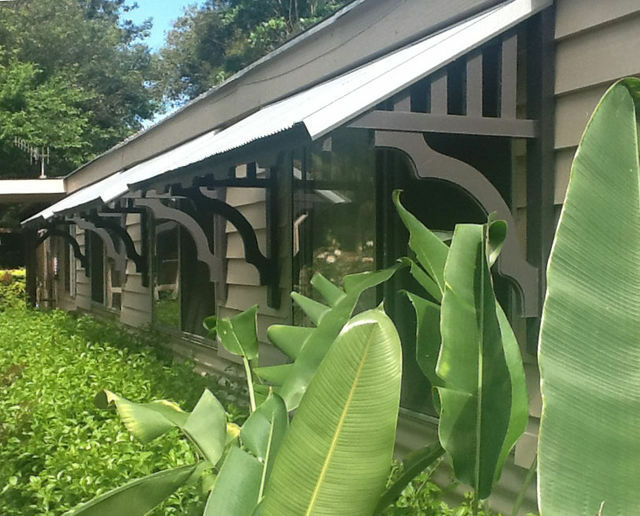 However, the Bullnose and Half-bullnose roofing can only be regular corrugated. 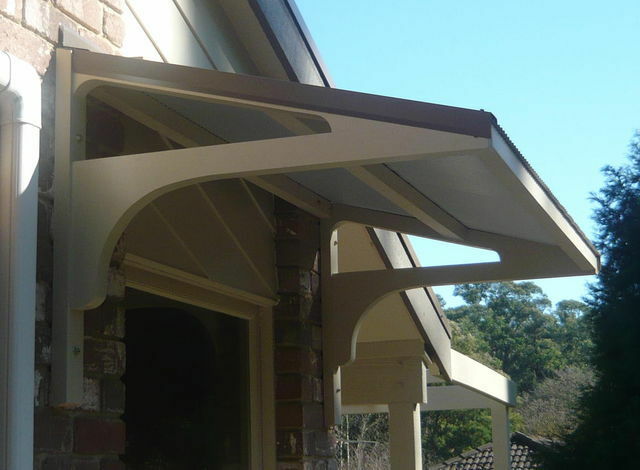 Often the canopy (if it is not too wide) can be fully assembled at ground level, and then mounted to the wall in its designated place. Due to the LOSP treatment, an oil based primer needs to be used before applying acrylic paint. 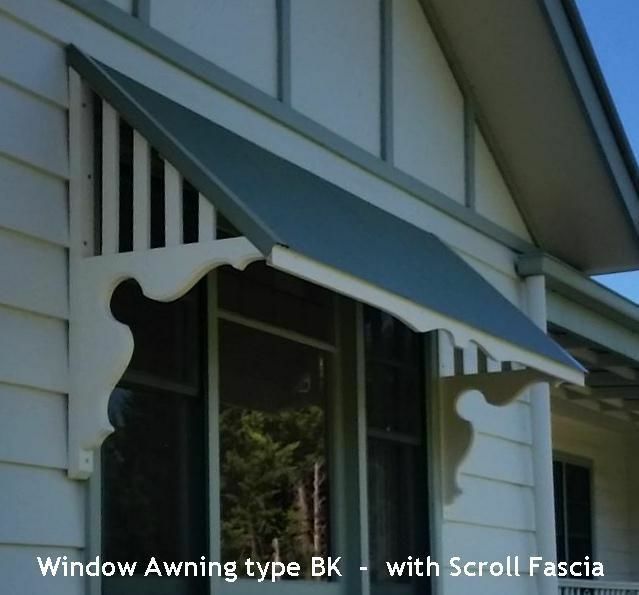 Window awnings types "BG" and "BF"